Home \ Articles \ Is Subscribing To SWOTOR Worthwhile? Is Subscribing To SWOTOR Worthwhile? Today, we’re going to talk about Star Wars: The Old Republic. Y’know, Bioware’s MMORPG that went free to play a couple years back? It’s still around; still going strong. Maybe it didn’t kill World of Warcraft, but…honestly, no game can. Anyway, let’s get right to the point. For the past few months, I’ve been subscribing to Star Wars: The Old Republic. Blame the GF for that one – she insisted we renew our subscriptions. Today, I’m here to talk about whether or not you should do the same. For my part, I’m actually not regretting it. 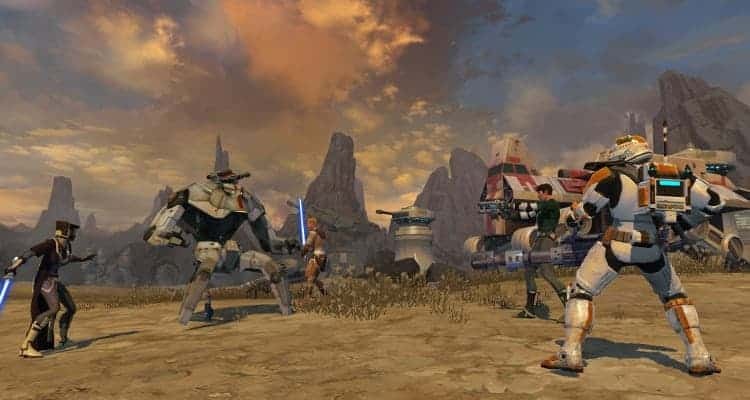 See, here’s the thing about The Old Republic – it plays a hell of a lot like vanilla World of Warcraft. So much so that when I play my Scoundrel, I get a few flashbacks to my old Rogue. That the game is in many ways so derivative isn’t actually a bad thing in this case. Well…I suppose that depends on where you stand. 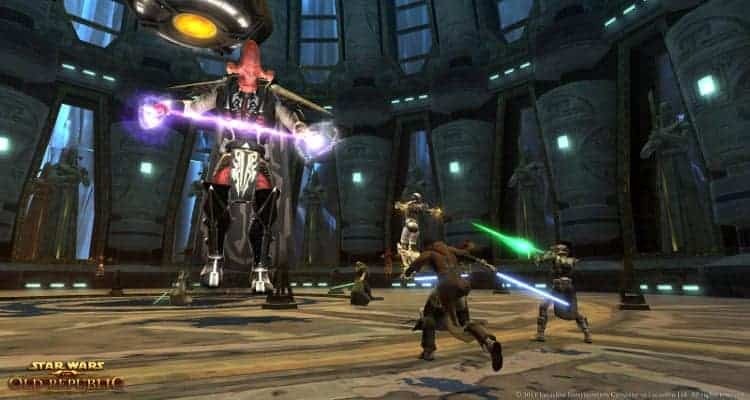 In a lot of ways, The Old Republic plays more like World of Warcraft than the actual World of Warcraft does. I’m…not really explaining myself very well here, am I? Alright, here’s the thing. When I renewed my subscription to WoW, it was not the game I once new. Save for endgame content (which retains most of its difficulty), the majority of the game has been streamlined. It’s been pared down and simplified, such that there’s not really much of a sense that I’m achieving anything when I complete any quest that isn’t endgame. Instead, I sort of get the feeling that I’m just on a treadmill shooting for 90. 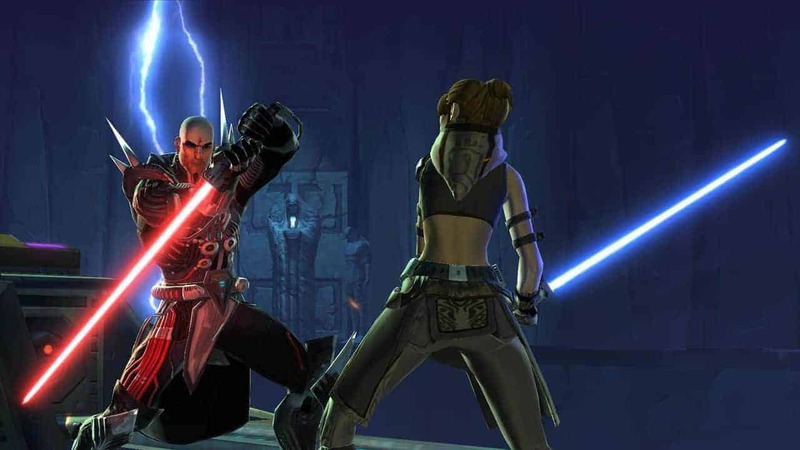 SWTOR doesn’t present that experience at all. Instead, it feels like I’m playing the old World of Warcraft – and there’s a definite sense of nostalgia there. Factor in the story-driven quests (pretty much every quest has at least a few choices, dialogues, or moral dilemmas) and the romance options (hey, It’s a Bioware game) and there’s even more reason to play through all the content. Plus, the bonuses I get for subscribing are pretty sweet. While I don’t necessarily agree with how Electronic Arts has sorta neutered free players, I rather enjoy getting a bundle of cartel coins (paid currency) every month to spend as I see fit, and the ability to experience new content before anyone else is pretty sweet, too. There’s some other stuff you get for being a subscriber too, but I’m not going to waste time laying it out here. For me, renewing my subscription was a worthwhile thing. Will it be for you? Maybe. Maybe not. Basically, ask yourself if you miss old World of Warcraft. Ask yourself if you enjoy a narrative-driven game, and if it’s worth shelling out some cash to play one of Bioware’s largest projects ever. If you’re not a fan of MMORPGs (or simply don’t much care for story), then it’s probably not worth your time to buy a subscription. Otherwise, why not give it a try? It’s not like you’ll have to spend that much anyway.